96:0.1 IN CONCEIVING OF DEITY, man first includes all gods, then subordinates all foreign gods to his tribal deity, and finally excludes all but the one God of final and supreme value. The Jews synthesized all gods into their more sublime concept of the Lord God of Israel. 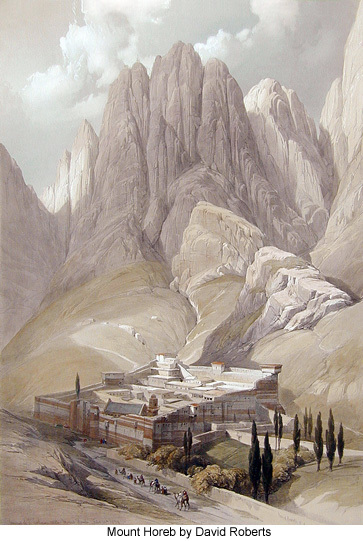 The Hindus likewise combined their multifarious deities into the "one spirituality of the gods" portrayed in the Rig-Veda, while the Mesopotamians reduced their gods to the more centralized concept of Bel-Marduk. These ideas of monotheism matured all over the world not long after the appearance of Machiventa Melchizedek at Salem in Palestine. But the Melchizedek concept of Deity was unlike that of the evolutionary philosophy of inclusion, subordination, and exclusion; it was based exclusively on creative power and very soon influenced the highest deity concepts of Mesopotamia, India, and Egypt. 96:0.2 The Salem religion was revered as a tradition by the Kenites and several other Canaanite tribes. And this was one of the purposes of Melchizedek's incarnation: That a religion of one God should be so fostered as to prepare the way for the earth bestowal of a Son of that one God. Michael could hardly come to Urantia until there existed a people believing in the Universal Father among whom he could appear. 96:0.3 The Salem religion persisted among the Kenites in Palestine as their creed, and this religion as it was later adopted by the Hebrews was influenced, first, by Egyptian moral teachings; later, by Babylonian theologic thought; and lastly, by Iranian conceptions of good and evil. Factually the Hebrew religion is predicated upon the covenant between Abraham and Machiventa Melchizedek, evolutionally it is the outgrowth of many unique situational circumstances, but culturally it has borrowed freely from the religion, morality, and philosophy of the entire Levant. It is through the Hebrew religion that much of the morality and religious thought of Egypt,Mesopotamia, and Iran was transmitted to the Occidental peoples. 96:1.10Jehovah is a term which in recent times has been employed to designate the completed concept of Yahweh which finally evolved in the long Hebrews experience. But the name Jehovah did not come into use until fifteen hundred years after the times of Jesus. 96:1.11 Up to about 2000 B.C., Mount Horeb was intermittently active as a volcano, occasional eruptions occurring as late as the time of the sojourn of the Israelites in this region. The fire and smoke, together with the thunderous detonations associated with the eruptions of this volcanic mountain, all impressed and awed the Bedouins of the surrounding regions and caused them greatly to fear Yahweh. This spirit of Mount Horeb later became the god of the Hebrew Semite, and they eventually believed him to be supreme over all other gods. 96:2.1 The Semites of the East were well-organized and well-led horsemen who invaded the eastern regions of the fertile crescent and there united with the Babylonians. The Chaldeans near Ur were among the most advanced of the eastern Semites. The Phoenicians were a superior and well-organized group of mixed Semites who held the western section of Palestine, along the Mediterranean coast. Racially the Semites were among the most blended of Urantia peoples, containing hereditary factors from almost all of the nine world races. 96:2.2 Again and again the Arabian Semites fought their way into the northern Promised Land, the land that "flowed with milk and honey," but just as often were they ejected by the better-organized and more highly civilized northern Semites and Hittites. Later, during an unusually severe famine, these roving Bedouins entered Egypt in large numbers as contract laborers on the Egyptian public works, only to find themselves undergoing the bitter experience of enslavement at the hard daily toil of the common and downtrodden laborers of the Nile valley. 96:2.3 It was only after the days of Machiventa Melchizedek and Abraham that certain tribes of Semites, because of their peculiar religious beliefs, were called the children of Israel and later on Hebrews, Jews, and the "chosen people." Abraham was not the racial father of all the Hebrews; he was not even the progenitor of all the Bedouin Semites who were held captive in Egypt. True, his offspring, coming up out of Egypt, did form the nucleus of the later Jewish people, but the vast majority of the men and women who became incorporated into the clans of Israel had never sojourned in Egypt. 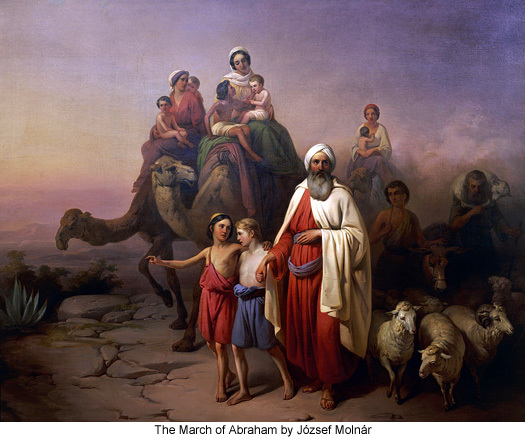 They were merely fellow nomads who chose to follow the leadership of Moses as the children of Abraham and their Semite associates from Egypt journeyed through northern Arabia. 96:2.4 The Melchizedek teaching concerning El Elyon, the Most High, and the covenant of divine favor through faith, had been largely forgotten by the time of the Egyptian enslavement of the Semite peoples who were shortly to form the Hebrew nation. But throughout this period of captivity these Arabian nomads maintained a lingering traditional belief in Yahweh as their racial deity. 96:2.5Yahweh was worshiped by more than one hundred separate Arabian tribes, and except for the tinge of the El Elyon concept of Melchizedek which persisted among the more educated classes of Egypt, including the mixed Hebrew and Egyptian stocks, the religion of the rank and file of the Hebrew captive slaves was a modified version of the old Yahweh ritual of magic and sacrifice. 96:3.2 Despite the enticements of the culture of the Nile kingdom, Moses elected to cast his lot with the people of his father. At the time this great organizer was formulating his plans for the eventual freeing of his father's people, the Bedouin captives hardly had a religion worthy of the name; they were virtually without a true concept of God and without hope in the world. 96:3.3 No leader ever undertook to reform and uplift a more forlorn, downcast, dejected, and ignorant group of human beings. But these slaves carried latent possibilities of development in their hereditary strains, and there were a sufficient number of educated leaders who had been coached by Moses in preparation for the day of revolt and the strike for liberty to constitute a corps of efficient organizers. These superior men had been employed as native overseers of their people; they had received some education because of Moses' influence with the Egyptian rulers. 96:3.4 Moses endeavored to negotiate diplomatically for the freedom of his fellow Semites. He and his brother entered into a compact with the king of Egypt whereby they were granted permission peaceably to leave the valley of the Nile for the Arabian Desert. They were to receive a modest payment of money and goods in token of their long service in Egypt. The Hebrews for their part entered into an agreement to maintain friendly relations with the Pharaohs and not to join in any alliance against Egypt. But the king later saw fit to repudiate this treaty, giving as his reason the excuse that his spies had discovered disloyalty among the Bedouin slaves. He claimed they sought freedom for the purpose of going into the desert to organize the nomads against Egypt. 96:3.5 But Moses was not discouraged; he bided his time, and in less than a year, when the Egyptian military forces were fully occupied in resisting the simultaneous onslaughts of a strong Libyan thrust from the south and a Greek naval invasion from the north, this intrepid organizer led his compatriots out of Egypt in a spectacular night flight. This dash for liberty was carefully planned and skillfully executed. And they were successful, notwithstanding that they were hotly pursued by Pharaoh and a small body of Egyptians, who all fell before the fugitives' defense, yielding much booty, all of which was augmented by the loot of the advancing host of escaping slaves as they marched on toward their ancestral desert home. 96:4.1 The evolution and elevation of the Mosaic teaching has influenced almost one half of all the world, and still does even in the twentieth century. While Moses comprehended the more advanced Egyptian religious philosophy, the Bedouin slaves knew little about such teachings, but they had never entirely forgotten the god of Mount Horeb, whom their ancestors had called Yahweh. 96:4.2 Moses had heard of the teachings of Machiventa Melchizedek from both his father and his mother, their commonness of religious belief being the explanation for the unusual union between a woman of royal blood and a man from a captive race. Moses' father-in-law was a Kenite worshiper of El Elyon, but the emancipator's parents were believers in El Shaddai. Moses thus was educated an El Shaddaist; through the influence of his father-in-law he became an El Elyonist; and by the time of the Hebrew encampment about Mount Sinai after the flight from Egypt, he had formulated a new and enlarged concept of Deity (derived from all his former beliefs), which he wisely decided to proclaim to his people as an expanded concept of their olden tribal god, Yahweh. 96:4.3 Moses had endeavored to teach these Bedouins the idea of El Elyon, but before leaving Egypt, he had become convinced they would never fully comprehend this doctrine. Therefore he deliberately determined upon the compromise adoption of their tribal god of the desert as the one and only god of his followers. Moses did not specifically teach that other peoples and nations might not have other gods, but he did resolutely maintain that Yahweh was over and above all, especially to the Hebrews. But always was he plagued by the awkward predicament of trying to present his new and higher idea of Deity to these ignorant slaves under the guise of the ancient term Yahweh, which had always been symbolized by the golden calf of the Bedouin tribes. 96:4.5 It does not appear that Moses would ever have succeeded in the establishment of his somewhat advanced ceremonial worship and in keeping his followers intact for a quarter of a century had it not been for the violent eruption of Horeb during the third week of their worshipful sojourn at its base. "The mountain of Yahweh was consumed in fire, and the smoke ascended like the smoke of a furnace, and the whole mountain quaked greatly." In view of this cataclysm it is not surprising that Moses could impress upon his brethren the teaching that their God was "mighty, terrible, a devouring fire, fearful, and all-powerful." 96:4.7 Moses made a heroic effort to uplift Yahweh to the dignity of a supreme Deity when he presented him as the "God of truth and without iniquity, just and right in all his ways." And yet, despite this exalted teaching, the limited understanding of his followers made it necessary to speak of God as being in man's image, as being subject to fits of anger, wrath, and severity, even that he was vengeful and easily influenced by man's conduct. 96:4.8 Under the teachings of Moses this tribal nature god, Yahweh, became the Lord God of Israel, who followed them through the wilderness and even into exile, where he presently was conceived of as the God of all peoples. The later captivity that enslaved the Jews in Babylon finally liberated the evolving concept of Yahweh to assume the monotheistic role of the God of all nations. 96:4.9 The most unique and amazing feature of the religious history of the Hebrews concerns this continuous evolution of the concept of Deity from the primitive god of Mount Horeb up through the teachings of their successive spiritual leaders to the high level of development depicted in the Deity doctrines of the Isaiahs, who proclaimed that magnificent concept of the loving and merciful Creator Father. 96:5.1 Moses was an extraordinary combination of military leader, social organizer, and religious teacher. He was the most important individual world teacher and leader between the times of Machiventa and Jesus. Moses attempted to introduce many reforms in Israel of which there is no record. In the space of one man's life he led the polyglot horde of so-called Hebrews out of slavery and uncivilized roaming while he laid the foundation for the subsequent birth of a nation and the perpetuation of a race. 96:5.2 There is so little on record of the great work of Moses because the Hebrews had no written language at the time of the exodus. The record of the times and doings of Moses was derived from the traditions extant more than one thousand years after the death of the great leader. 96:5.3 Many of the advances which Moses made over and above the religion of the Egyptians and the surrounding Levantine tribes were due to the Kenite traditions of the time of Melchizedek. Without the teaching of Machiventa to Abraham and his contemporaries, the Hebrews would have come out of Egypt in hopeless darkness. Moses and his father-in-law, Jethro, gathered up the residue of the traditions of the days of Melchizedek, and these teachings, joined to the learning of the Egyptians, guided Moses in the creation of the improved religion and ritual of the Israelites. Moses was an organizer; he selected the best in the religion and mores of Egypt and Palestine and, associating these practices with the traditions of the Melchizedek teachings, organized the Hebrew ceremonial system of worship. 96:5.4 Moses was a believer in Providence; he had become thoroughly tainted with the doctrines of Egypt concerning the supernatural control of the Nile and the other elements of nature. He had a great vision of God, but he was thoroughly sincere when he taught the Hebrews that, if they would obey God, "He will love you, bless you, and multiply you. He will multiply the fruit of your womb and the fruit of your land—the corn, wine, oil, and your flocks. You shall be prospered above all people, and the Lord your God will take away from you all sickness and will put none of the evil diseases of Egypt upon you." He even said: "Remember the Lord your God, for it is he who gives you the power to get wealth." "You shall lend to many nations, but you shall not borrow. You shall reign over many nations, but they shall not reign over you." 96:5.5 But it was truly pitiful to watch this great mind of Moses trying to adapt his sublime concept of El Elyon, the Most High, to the comprehension of the ignorant and illiterate Hebrews. To his assembled leaders he thundered, "The Lord your God is one God; there is none beside him"; while to the mixed multitude he declared, "Who is like your God among all the gods?" Moses made a brave and partly successful stand against fetishes and idolatry, declaring, "You saw no similitude on the day that your God spoke to you at Horeb out of the midst of the fire." He also forbade the making of images of any sort. 96:5.6 Moses feared to proclaim the mercy of Yahweh, preferring to awe his people with the fear of the justice of God, saying: "The Lord your God is God of Gods, and Lord of Lords, a great God, a mighty and terrible God, who regards not man." Again he sought to control the turbulent clans when he declared that "your God kills when you disobey him; he heals and gives life when you obey him." But Moses taught these tribes that they would become the chosen people of God only on condition that they "kept all his commandments and obeyed all his statutes." 96:5.7 Little of the mercy of God was taught the Hebrews during these early times. They learned of God as "the Almighty; the Lord is a man of war, God of battles, glorious in power, who dashes in pieces his enemies." "The Lord your God walks in the midst of the camp to deliver you." The Israelites thought of their God as one who loved them, but who also "hardened Pharaoh's heart" and "cursed their enemies." 96:5.8 While Moses presented fleeting glimpses of a universal and beneficent Deity to the children of Israel, on the whole, their day-by-day concept of Yahweh was that of a God but little better than the tribal gods of the surrounding peoples. Their concept of God was primitive, crude, and anthropomorphic; when Moses passed on, these Bedouin tribes quickly reverted to the semibarbaric ideas of their olden gods of Horeb and the desert. The enlarged and more sublime vision of God which Moses every now and then presented to his leaders was soon lost to view, while most of the people turned to the worship of their fetish golden calves, the Palestinian herdsman's symbol of Yahweh. 96:5.9 When Moses turned over the command of the Hebrews to Joshua, he had already gathered up thousands of the collateral descendants of Abraham, Nahor, Lot, and other of the related tribes and had whipped them into a self-sustaining and partially self-regulating nation of pastoral warriors. 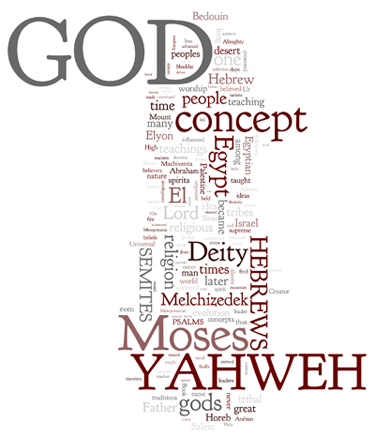 96:6.1 Upon the death of Moses his lofty concept of Yahweh rapidly deteriorated. Joshua and the leaders of Israel continued to harbor the Mosaic traditions of the all-wise, beneficent, and almighty God, but the common people rapidly reverted to the older desert idea of Yahweh. And this backward drift of the concept of Deity continued increasingly under the successive rule of the various tribal sheiks, the so-called Judges. 96:6.2 The spell of the extraordinary personality of Moses had kept alive in the hearts of his followers the inspiration of an increasingly enlarged concept of God; but when they once reached the fertile lands of Palestine, they quickly evolved from nomadic herders into settled and somewhat sedate farmers. And this evolution of life practices and change of religious viewpoint demanded a more or less complete change in the character of their conception of the nature of their God, Yahweh. During the times of the beginning of the transmutation of the austere, crude, exacting, and thunderous desert god of Sinai into the later appearing concept of a God of love, justice, and mercy, the Hebrews almost lost sight of Moses' lofty teachings. They came near losing all concept of monotheism; they nearly lost their opportunity of becoming the people who would serve as a vital link in the spiritual evolution of Urantia, the group who would conserve the Melchizedek teaching of one God until the times of the incarnation of a bestowal Son of that Father of all. 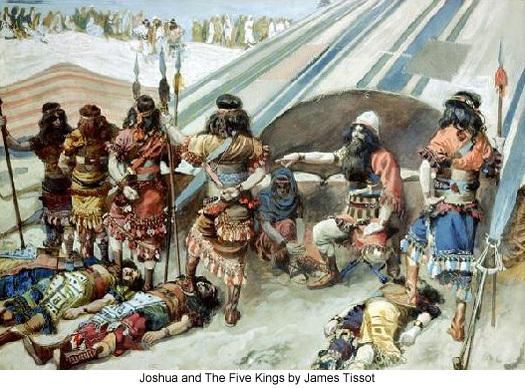 96:6.3 Desperately Joshua sought to hold the concept of a supreme Yahweh in the minds of the tribesmen, causing it to be proclaimed: "As I was with Moses, so will I be with you; I will not fail you nor forsake you." Joshua found it necessary to preach a stern gospel to his disbelieving people, people all too willing to believe their old and native religion but unwilling to go forward in the religion of faith and righteousness. The burden of Joshua's teaching became: "Yahweh is a holy God; he is a jealous God; he will not forgive your transgressions nor your sins." The highest concept of this age pictured Yahweh as a "God of power, judgment, and justice." 96:6.4 But even in this dark age, every now and then a solitary teacher would arise proclaiming the Mosaic concept of divinity: "You children of wickedness cannot serve the Lord, for he is a holy God." "Shall mortal man be more just than God? shall a man be more pure than his Maker?" "Can you by searching find out God? Can you find out the Almighty to perfection? Behold, God is great and we know him not. Touching the Almighty, we cannot find him out." 96:7.1 Under the leadership of their sheiks and priests the Hebrews became loosely established in Palestine. But they soon drifted back into the benighted beliefs of the desert and became contaminated with the less advanced Canaanite religious practices. They became idolatrous and licentious, and their idea of Deity fell far below the Egyptian and Mesopotamian concepts of God that were maintained by certain surviving Salem groups, and which are recorded in some of the Psalms and in the so-called Book of Job. 96:7.2 The Psalms are the work of a score or more of authors; many were written by Egyptian and Mesopotamian teachers. During these times when the Levant worshiped nature gods, there were still a goodly number who believed in the supremacy of El Elyon, the Most High. 96:7.3 No collection of religious writings gives expression to such a wealth of devotion and inspirational ideas of God as the Book of Psalms. And it would be very helpful if, in the perusal of this wonderful collection of worshipful literature, consideration could be given to the source and chronology of each separate hymn of praise and adoration, bearing in mind that no other single collection covers such a great range of time. This Book of Psalms is the record of the varying concepts of God entertained by the believers of the Salem religion throughout the Levant and embraces the entire period from Amenemope to Isaiah. In the Psalms God is depicted in all phases of conception, from the crude idea of a tribal deity to the vastly expanded ideal of the later Hebrews, wherein Yahweh is pictured as a loving ruler and merciful Father. 96:7.4 And when thus regarded, this group of Psalms constitutes the most valuable and helpful assortment of devotional sentiments ever assembled by man up to the times of the twentieth century. The worshipful spirit of this collection of hymns transcends that of all other sacred books of the world. 96:7.5 The variegated picture of Deity presented in the Book of Job was the product of more than a score of Mesopotamian religious teachers extending over a period of almost three hundred years. And when you read the lofty concept of divinity found in this compilation of Mesopotamian beliefs, you will recognize that it was in the neighborhood of Ur of Chaldea that the idea of a real God was best preserved during the dark days in Palestine. 96:7.6 In Palestine the wisdom and all-pervasiveness of God was often grasped but seldom his love and mercy. The Yahweh of these times "sends evil spirits to dominate the souls of his enemies"; he prospers his own and obedient children, while he curses and visits dire judgments upon all others. "He disappoints the devices of the crafty; he takes the wise in their own deceit." 96:7.7 Only at Ur did a voice arise to cry out the mercy of God, saying: "He shall pray to God and shall find favor with him and shall see his face with joy, for God will give to man divine righteousness." Thus from Ur there is preached salvation, divine favor, by faith: "He is gracious to the repentant and says, `Deliver him from going down in the pit, for I have found a ransom.' If any say, `I have sinned and perverted that which was right, and it profited me not,' God will deliver his soul from going into the pit, and he shall see the light." Not since the times of Melchizedek had the Levantine world heard such a ringing and cheering message of human salvation as this extraordinary teaching of Elihu, the prophet of Ur and priest of the Salem believers, that is, the remnant of the onetime Melchizedek colony in Mesopotamia. 96:7.8 And thus did the remnants of the Salem missionaries in Mesopotamia maintain the light of truth during the period of the disorganization of the Hebrew peoples until the appearance of the first of that long line of the teachers of Israel who never stopped as they built, concept upon concept, until they had achieved the realization of the ideal of the Universal and Creator Father of all, the acme of the evolution of the Yahweh concept.